Ndolé is the national dish of Cameroon. 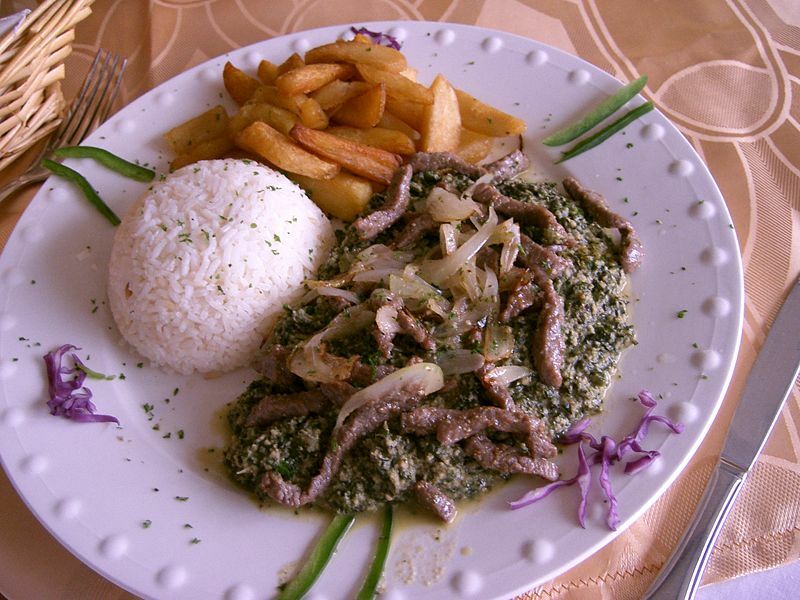 The dish consists of a stew of nuts, bitter leaves indigenous to West Africa, and fish or ground beef. Left: Ndolé, the national dish of Cameroon.